The best crab cakes I have ever eaten was at the 30-A restaurant in Destin, FL. 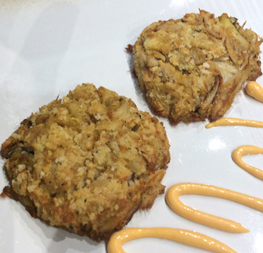 In my attempt to recreate them I tried several variations but this comes out great every time, it is adapted from the Philips Crab Cake recipe.. The hot sauce makes a great dipping sauce for shrimp. I bake them so they are not greasy. I don’t flip them and the seem to brown well on both sides. I also serve with a creamy Wasabi sauce, too. 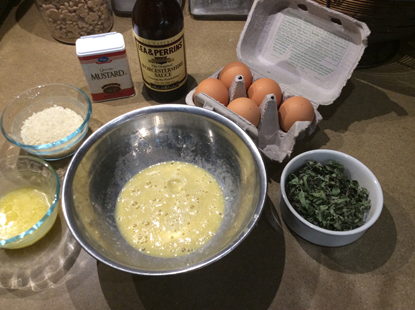 In a small bowl, combine ingredients until smooth. Put in a plastic bottle with a nozzle and drizzle on the plate. Or just serve as a dollop on the side. 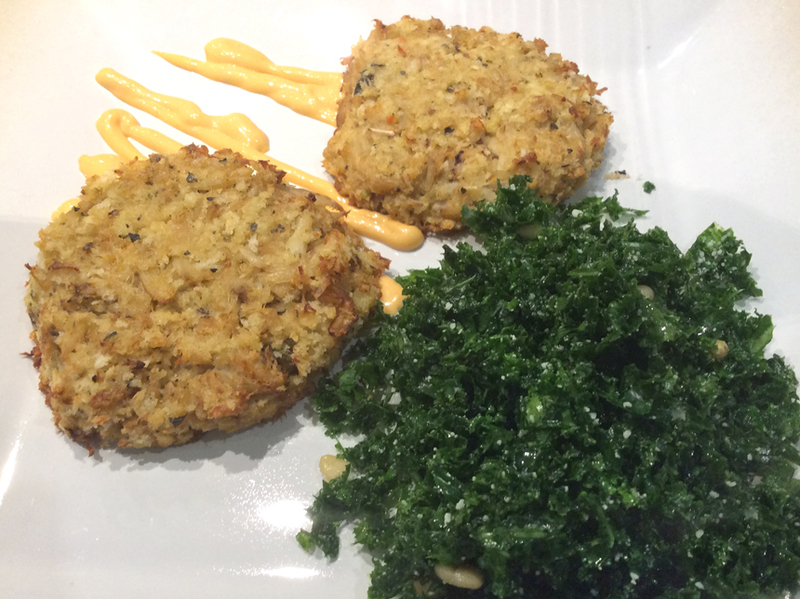 I served these with a side of Kale salad.